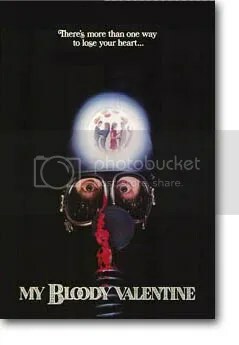 As I posted last week, I went to go see the “re-imagining” of the 1980 slasher, My Bloody Valentine. 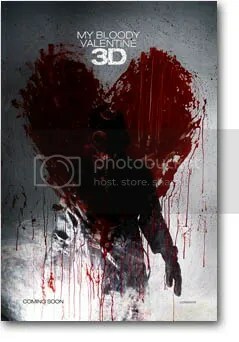 The newest incarnation is in 3-D, and for that reason alone, I was pretty psyched about it. THEN I found out that it’s the REAL 3-D, not that cheap blue lens/red lens crap from the 90’s, and that just upped the ante. Not to mention that both Kerr Smith and Jensen Ackles star in the new version. HELLO! As an unspoken rule, I scoff at most remakes, or “re-imaginings,” if you must. Mostly because 9x outta ten, movies that were just fine the first time around, are being remade for the Cellphone Generation (Amityville Horror, The Fog, When a Stranger Calls, The Stepford Wives, etc. ), with horrendous, diarrhea-inducing results. I like food. I especially like food with as little nutritional value as possible. And that’s why my crack du jour is Nabisco’s Garden Harvest Toasted Chips. I picked these up in the “half price” bin at the gas station (classy!) and soon fell in love with them. They are thin, crisp and loaded with the vegetable goodness that is deliciously nostalgic to Nabisco’s ORIGINAL Vegetable Thins. Not exact, but close. I’ll still never forgive them for dumping their classics vegetable-shaped crackers (onions, bell peppers, celery stalks) for their new retarded reincarnation. AND the groovy thing I just learned is that in addition to Apple Cinnamon and Tomato Basil, they also make a *drumroll* Banana chip version! OMG, that sounds REALLY good to me. Perhaps even crushed up on a peanut butter sammich? Oh yeaaaaah. And secondly, while perusing the Valentine goodies at Walgreen’s the other day, I noticed they had in their 3 for $3 candy bin, these new Chewy Atomic Fireballs. I got some (along with a few boxes of Swedish Fish). They are SO good! 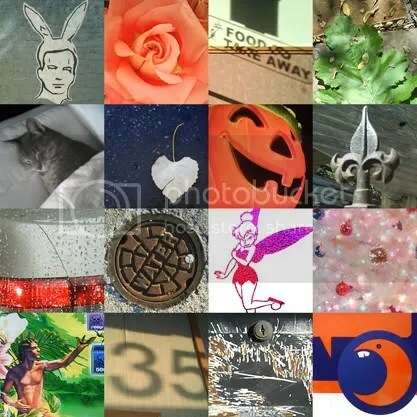 In fact, I’m heading out to pick up another batch to take to the movies tomorrow night. *sneakeh! * Seek them out. They are definitely worth it!